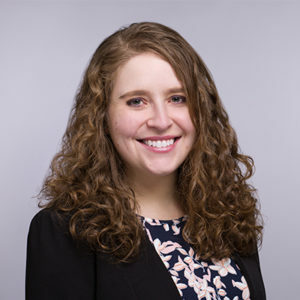 Julie Cooper joined EPS as a Senior Associate in 2018. She has worked in land use and economic development consulting since 2014, providing market and financial analysis and strategic planning services for public, private, and institutional clients. Her focus has been on strategic development plans at the city, neighborhood, and campus level, and she has experience in market research, feasibility analysis, policy recommendations, and stakeholder and public engagement. She is particularly interested in the formulation of public policies that promote sustainable urban development, including those impacting transit-oriented development, affordable housing, energy efficiency, and small business development. Julie earned a Master of Public Policy from Harris Public Policy at the University of Chicago, where her research included studies of the impact of energy efficiency programs for low-income households and of new transit lines on local business development. She also holds a BA in International Studies from the University of Chicago.